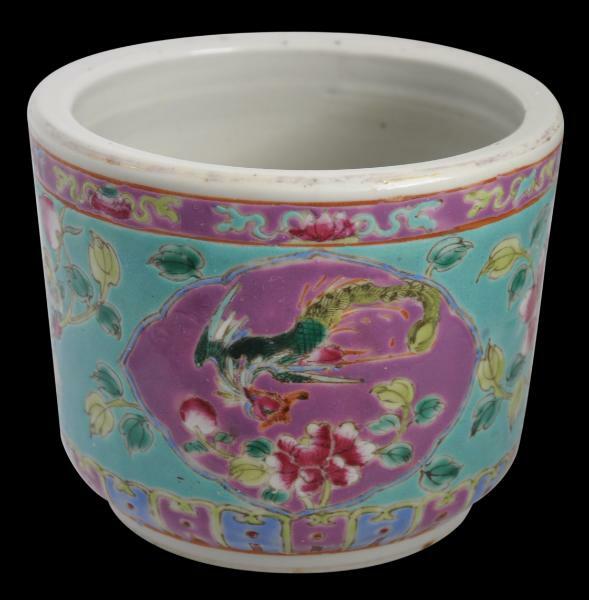 This relatively rare incense burner was acquired from a descendant of a Penang Nonya (Straits Chinese). It had belonged to her grandmother and was used to hold sand in which incense and joss sticks were inserted for burning on the household altar. 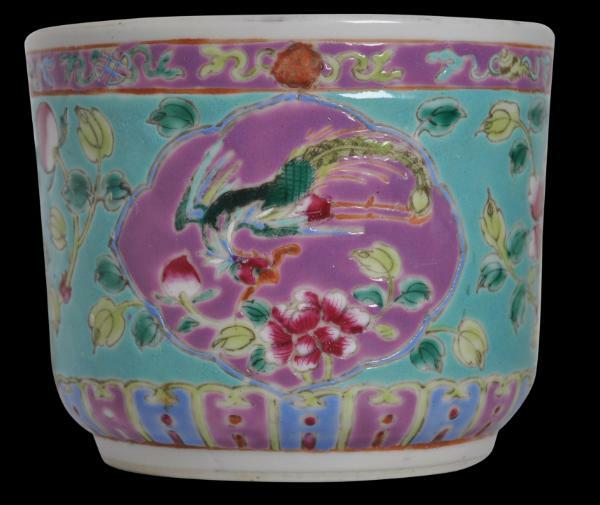 It shows, in polychrome enamel against a green and pink ground, two stylised cloud cartouches each with a phoenix in flight over peony sprays. 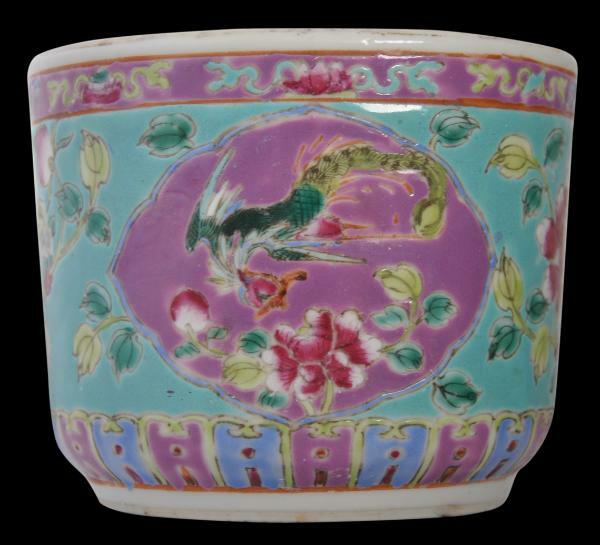 The rest of the burner is decorated with leafy sprays, all within a border of pink and blue lappets and a border of Daoist symbols. The burner is thickly potted and is in excellent condition. 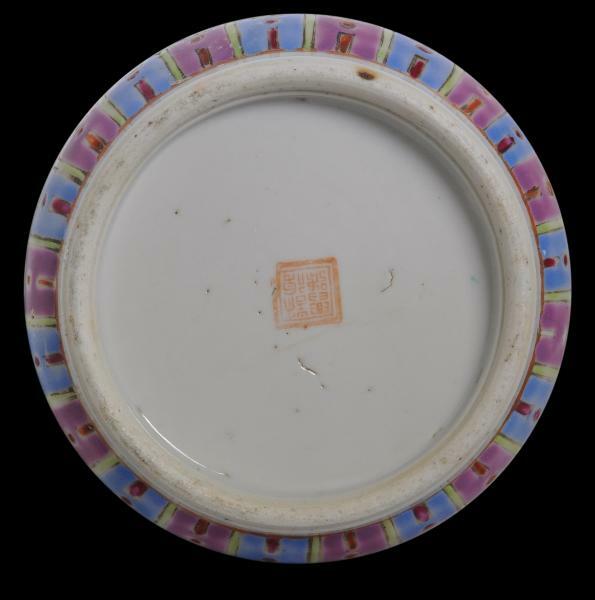 The base is stamped in red polychrome with the mark for Xu Jin Xing Hao (許錦興號), most likely a factory or retail mark. Baba and Nonya families in Singapore, Malacca and Penang in the nineteenth and early twentieth century. 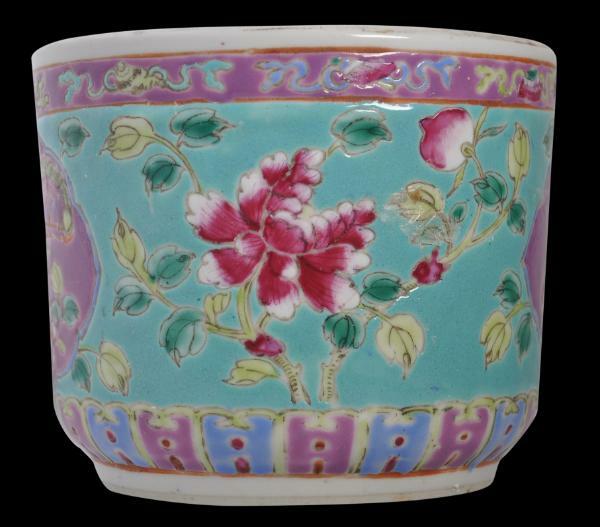 Such porcelain was made to Straits Chinese tastes and invariably feature bright colours, phoenixes and peonies. Straits Chinese Porcelain, Kee Ming Yuet Sdn Bhd, 2004. Peranakan Chinese Porcelain: Vibrant Festive Ware of the Straits Chinese, Tuttle Publishing, 2009. Nonya Ware and Kitchen Ch’ing, Oxford University Press, 1981.Provenance: The incense burner belonged to a Penang Nonya, Lam Beow Lan, who was born in the late 19th century, and to her mother. It was subsequently passed to their descendants.